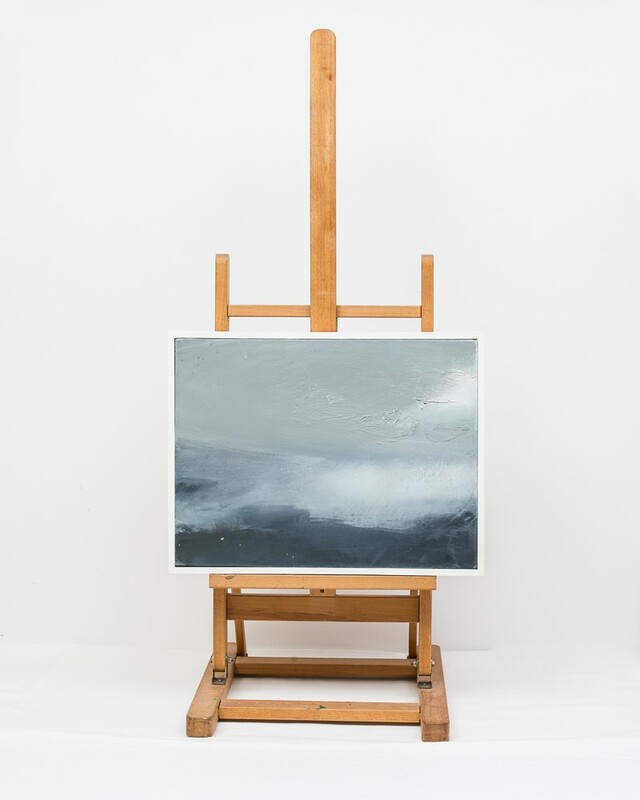 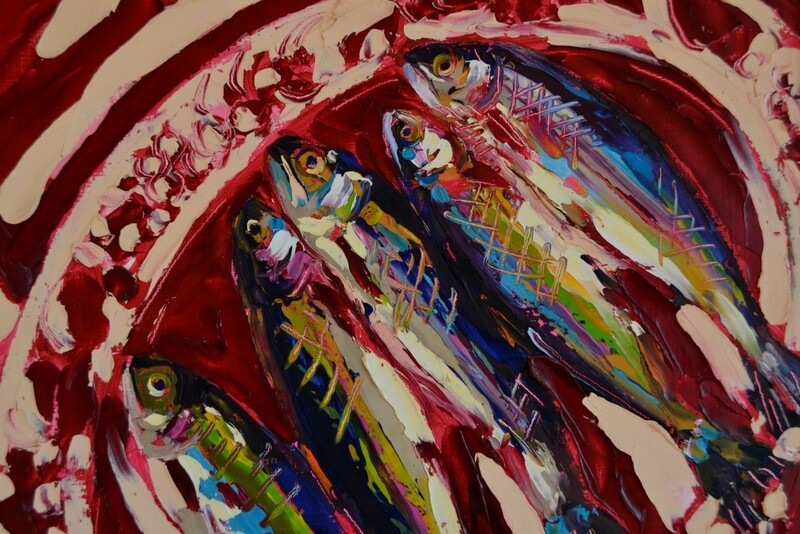 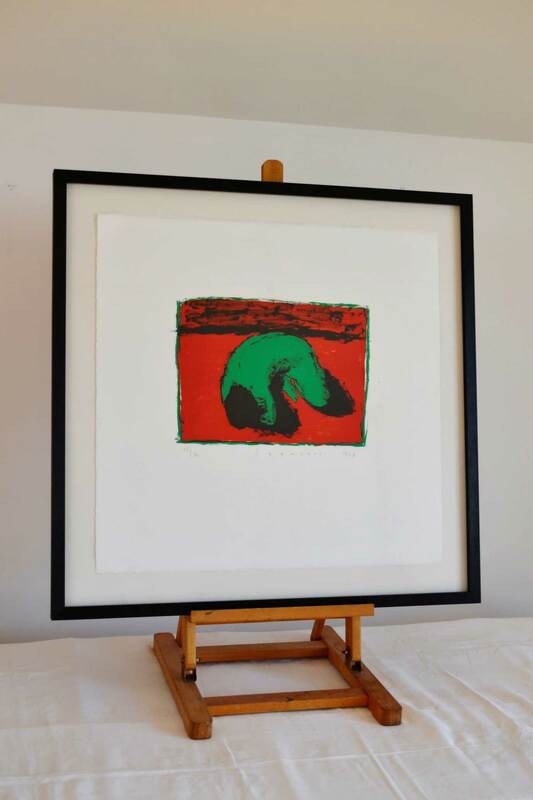 Studying in Sheffield Art College, Lucy Doyle has been working and exhibiting in Ireland since 1982. 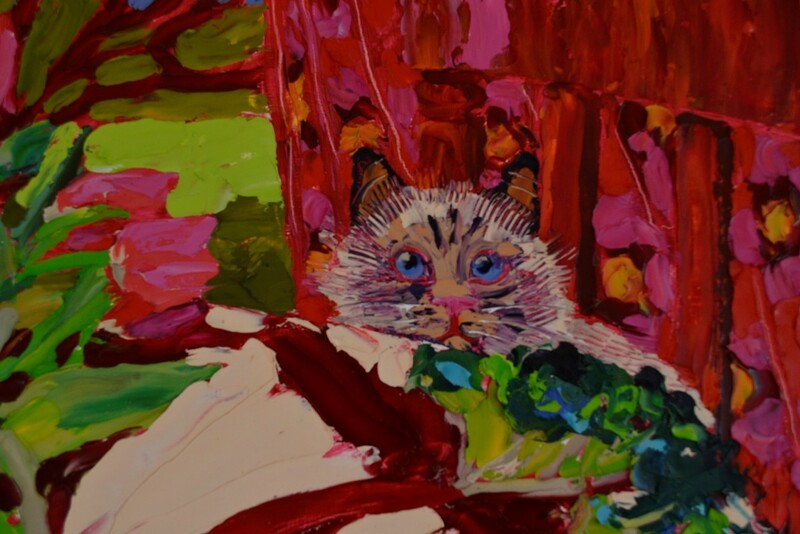 In her unique style she tends toward still life subject matter, incorporating figurative elements (such as the subtle presence of the cat here). 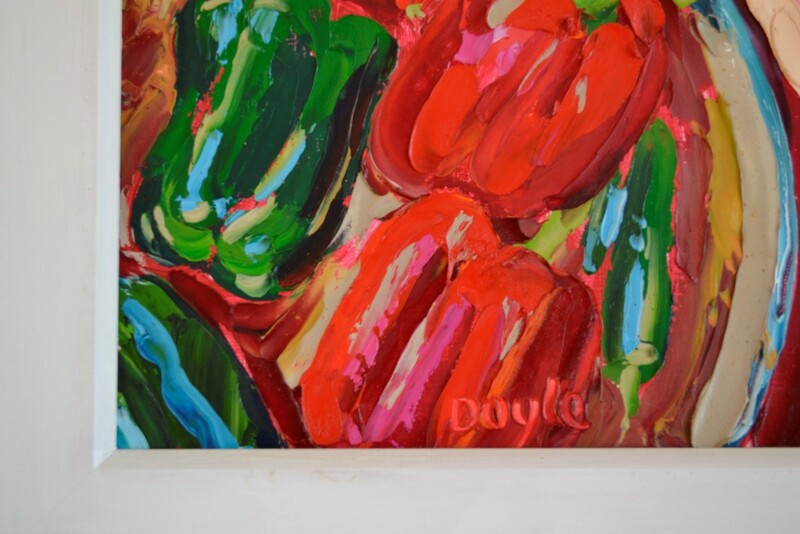 Very much a colourist, Doyle’s use of explosive tones is expressive more than local. 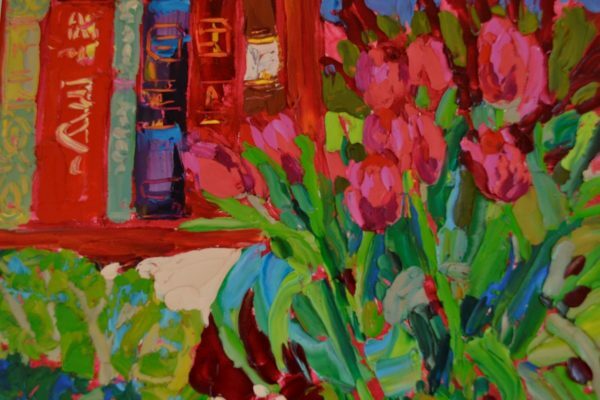 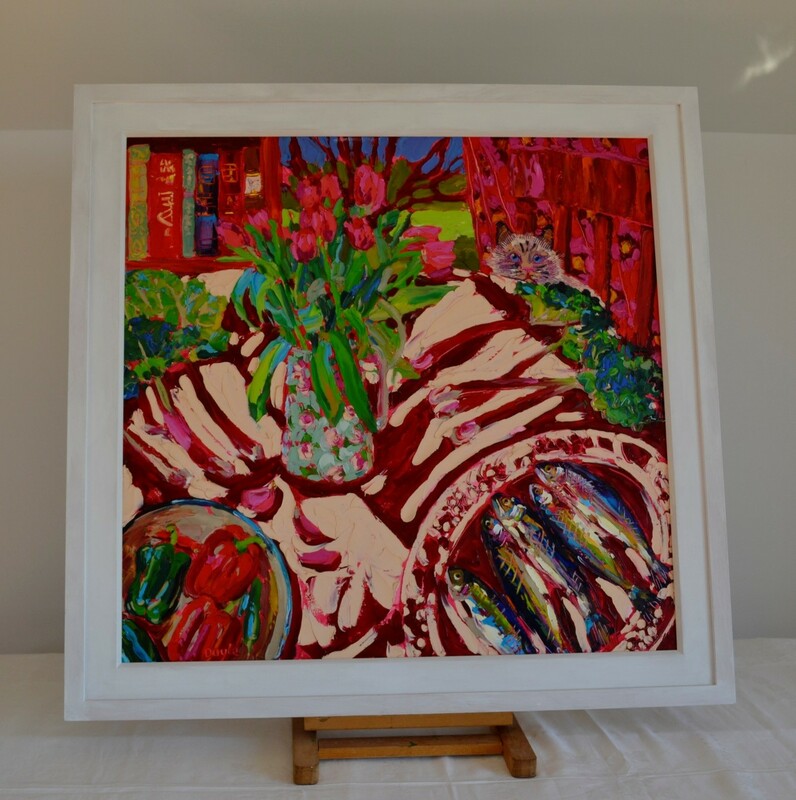 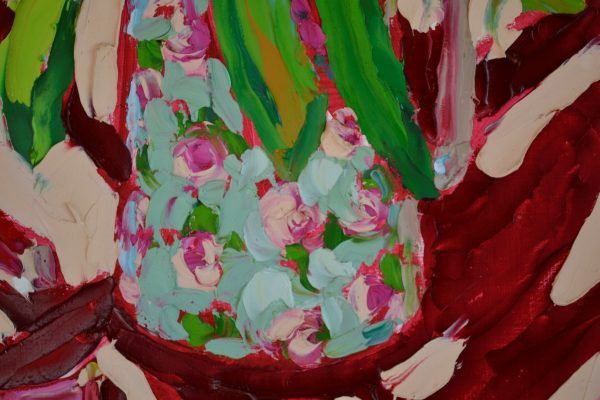 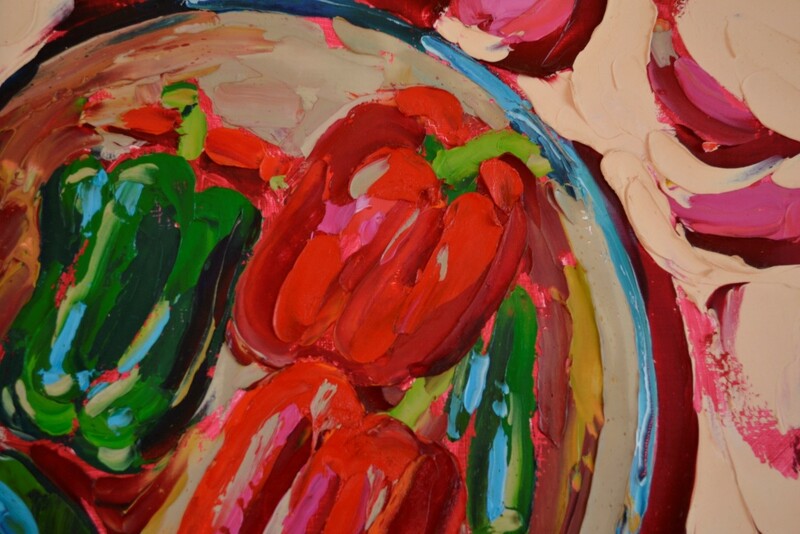 Complimenting the vibrancy of her palate, a dense impasto texture contributes to the high energy of works like Interior with Rhubarb and Cat, balanced with the quiet domestic content. A popular artist, her works is housed in private and public collections in Ireland, the UK and beyond.